Nick Brown, 11, right, buys an ornament for his mother during the Festival by the Sea event in Manchester. Unique Sea-Glass is run by Maine residents Sheri Black and Susan Lipman. 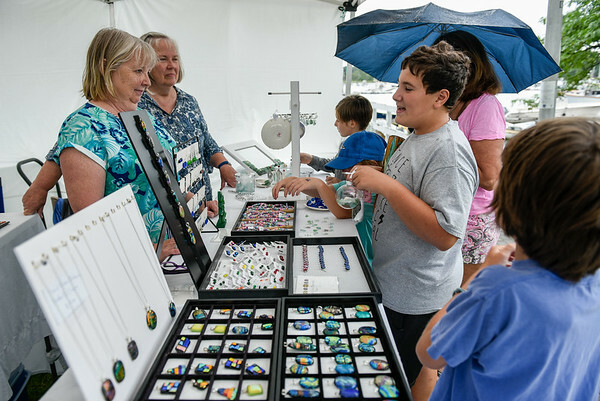 The popular annual event features more than 120 vendors ranging from artists and artisans to jewelers and crafters and food vendors.